If you want to divide your daylilies I’ll show you how easy it is to get 4 or 5 daylily divisions from one plant with only one tool. 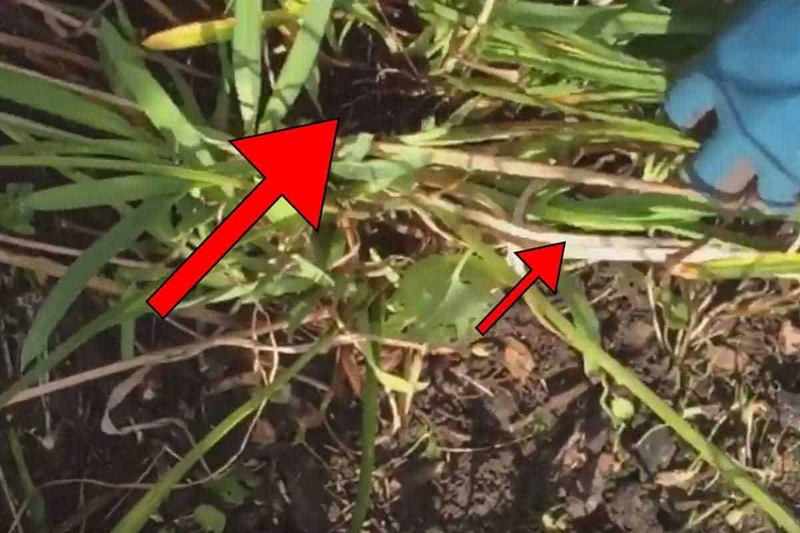 This amazing tool is the easiest way I’ve found to divide daylilies, hostas and other perennial plants in your garden. 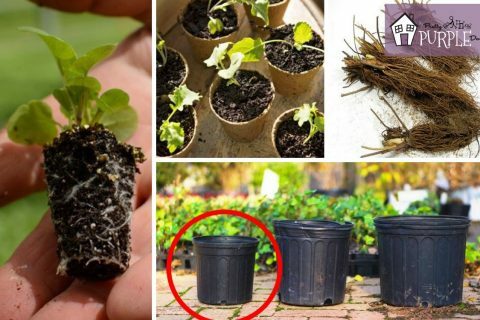 If you want to learn how to turn one plant into 4 or 5 for no cost and using only one tool, then this post is for you– keep reading to learn how! 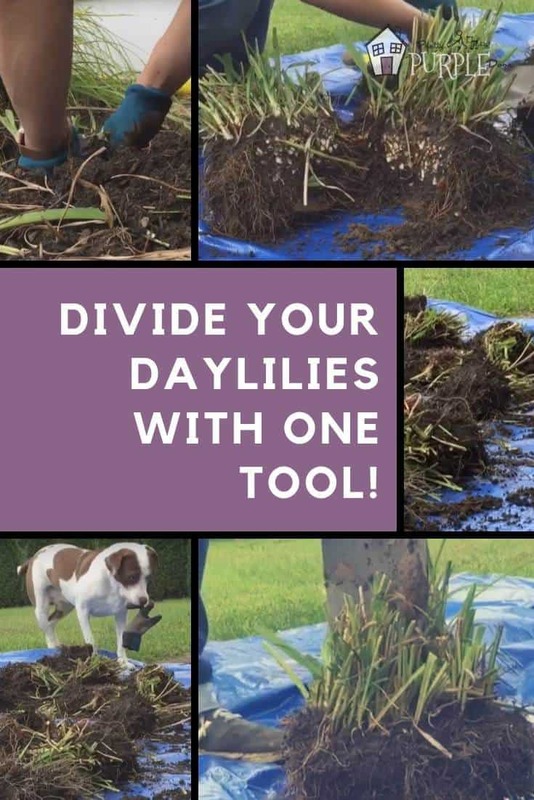 Divide daylilies with only one tool! The best time to divide daylilies is shortly after they have finished flowering in late summer to early fall. Since daylilies are very hardy, you could also divide them in early spring, but if you do, they may not flower as nicely in the summer for you. Dividing the daylilies in the fall ensures they have enough time to grow and establish before their bloom season. 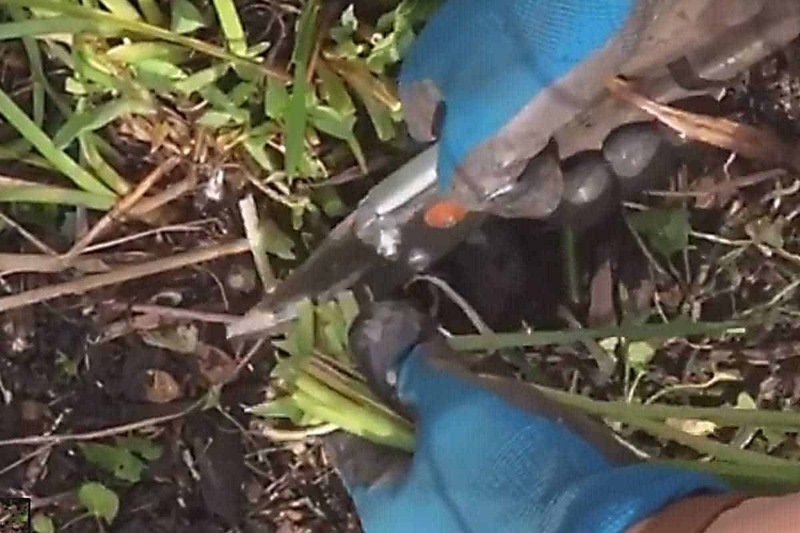 With any perennials that you want to divide, you should always try to do it in their off-season. If the perennial is a spring or early-summer bloomer, divide in the fall. If the perennial blooms in the late summer or fall, divide in the spring. 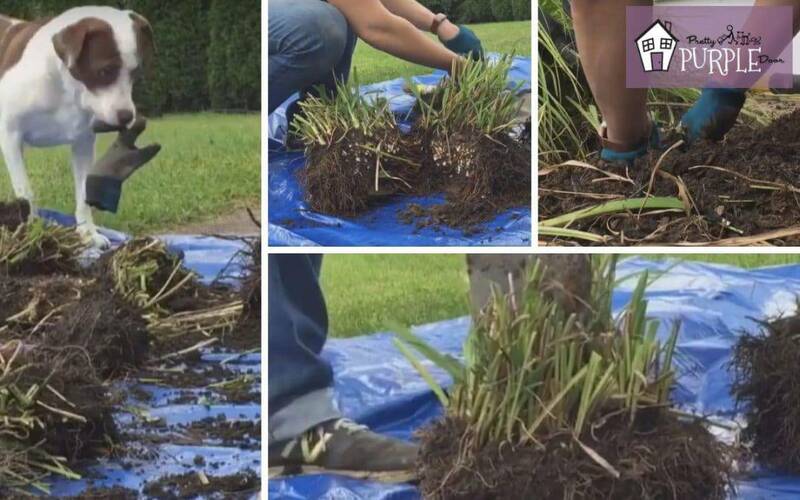 Watch this video to learn how to easily divide daylilies. Dividing daylilies every few years, you can get 4 or 5 extra plants from just one! Are your daylilies ready to be divided? 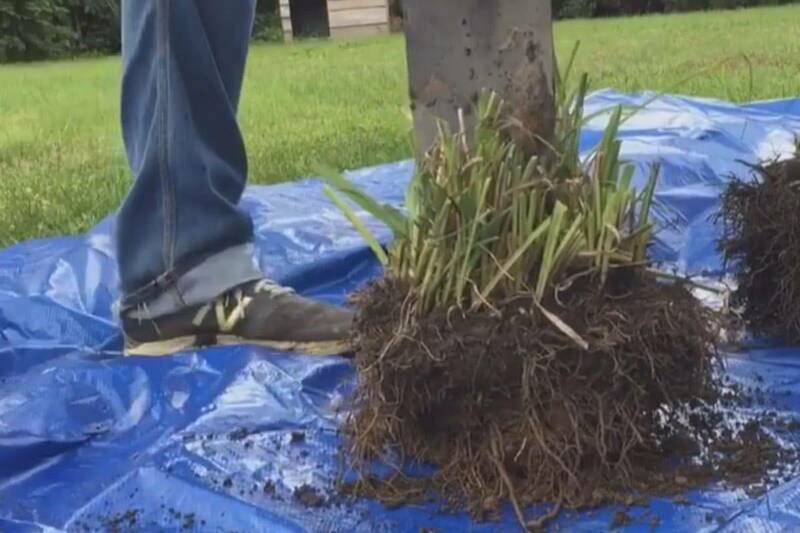 If you’re wondering when to thin out your daylilies or if your daylilies are ready to be divided into multiple plants, use this simple trick: Check the center of your daylily plant to see if there is any dead growth. If your daylilies are leggy, aren’t blooming as well as they used to, or overgrown or have some dead foliage near the inside of the plant, your daylily is ready to be divided. You can expect to divide daylilies every 4 or 5 years in order to keep them healthy and blooming strong. Before you divide your daylilies you’ll have to dig them up out of the ground. I like to remove any of the mulch or dead leaves from around the plant. Then I use a pair of pruning shears to trim the foliage of the plant so it’s easier to see where I need to dig. These Fiskars bypass pruning shears are my favorite… they are the perfect size for all of your every day pruning– not too big and not too small. Just use your transplanting spade or drain spade to dig a circle about 6-12″ outside of the perimeter of your daylily. Once you have a full circle, start digging inward (at an angle) so that you can get underneath the root of the daylily. 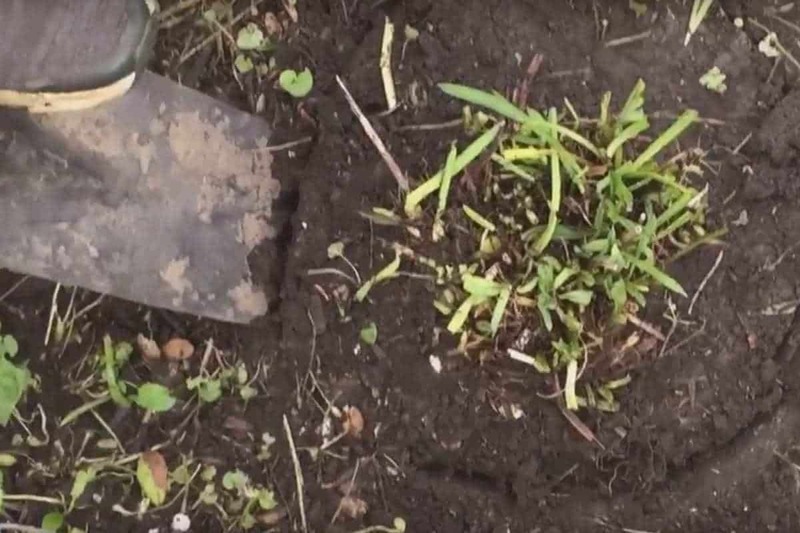 You should be able to remove the entire plant from the ground fairly easily. 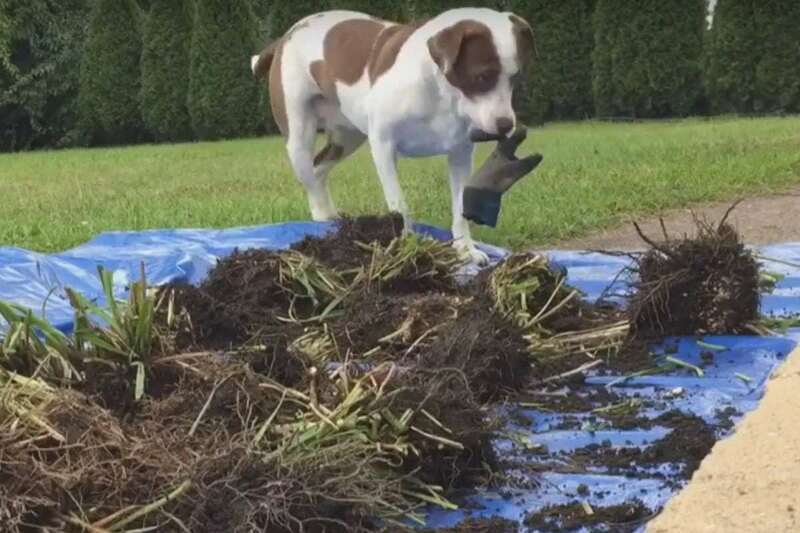 If you’re having trouble, wait until you’ve had some rain and it will be easier to dig up. I used my drain spade for this step, too! Just insert your shovel right into the center of the plant (with the foliage facing upward). One quick push downward should split the plant for you. Sometimes this a little more difficult (like if the plant is very dry). In times like that, I’ve resorted to a hatchet… haha. Daylilies are super hardy so while you should be careful, you don’t have to worry too much about damaging the plant while dividing it. Once you divide the daylily in half, you can continue to divide the plant by halving the halfs. 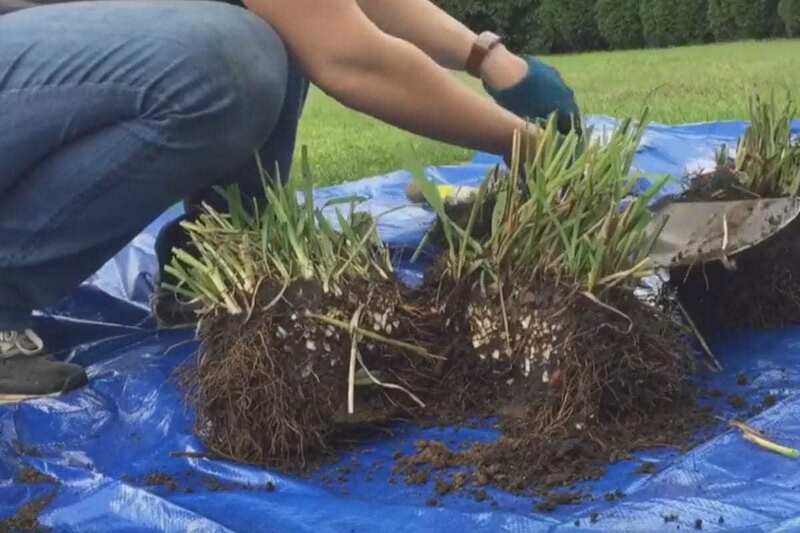 I recommend getting clumps with roots that are at least 6″ in diameter. For most of my daylilies I was able to get 4 or 5 divisions from one single plant. Plenty to spread around the yard, bring to your garden shares or surprise your family, friends and neighbors with! I usually take one of my divisions and stick it right back into the hole where it came from. The rest, I spread around the yard in different places. When you are replanting your daylilies, consider planting them in drifts. This means, planting 3, 5 or 7 plants in a staggered zig-zag grouping that weaves in and out of your other plants. Daylilies look great when planted in drifts and can really “fill up” those empty areas of your garden. Once planted, give your daylilies a nice long drink of water. They should come back more beautiful than ever next season! Where should daylilies be planted? Daylilies prefer to be in full sun. This means they need at least 6 hours of direct light each day in order to thrive. Because daylilies are so hardy, they can adapt to other conditions but they will do better in moist and well-drained soil with lots of sun. If you live in a hot climate, darker-colored varieties will do maintain their color with afternoon shade. Are daylilies susceptible to any pests or diseases? Daylilies are hardy and have few pests… but they are not completely immune to diseases like rust and fungus. If you want to keep your daylilies healthy, plant them in airy spaces with full sun and moist but well-drained soil. 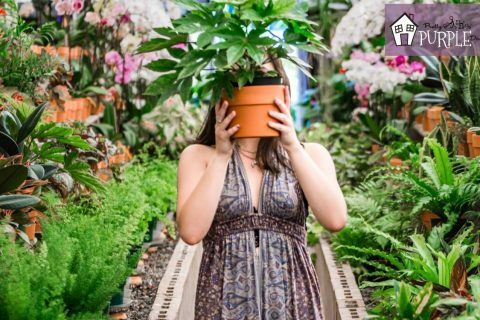 Also remove any foliage that looks damaged or diseased. And, don’t forget to give your daylilies sufficient water when you have a dry spell. When can you divide and replant daylilies? The best time to transplant daylilies is in the early spring or early fall, although they will tolerate transplanting at any time of year. My favorite time to divide daylilies is in the fall, about 6 weeks before the first frost of the season. If you divide your daylilies in the fall or even in early spring they will bloom in the summer. However, if you transplant and divide your daylilies in the summer, you risk losing your blooms for that season. Don’t worry, though, as they’ll come back next year! Can I divide lilies in the spring? Sure — you can certainly divide your dailies in the spring and they SHOULD still bloom in the summer for you. They are very hardy perennials. I would still suggest dividing them in the fall, though. Do I need to deadhead daylilies? It’s not necessary to deadhead your daylilies, but doing so will increase the amount of blooms you get and the duration of the blooms. If you don’t deadhead your daylilies they will still survive though. Can you cut daylilies back after they bloom? You can cut your daylilies back after they bloom but it’s not necessary. In fact, cutting the foliage back after blooming, although it may tidy up your garden, will weaken your plants. The only time I recommend cutting back your daylilies is before transplanting. Before you transplant your daylilies, cut the foliage back to about 6-8″ to make them easier to work with as you split them and replant. What happens if you cut down daylilies too early? Daylilies grow from the center outward, so avoid the urge to trim and tame your daylilies. Only cut them back a bit before you divide and transplant… otherwise leave them alone. Cutting down in spring: Cutting back the new foliage in the center of the plant risks damage to the crown of your plant. If you damage the daylily crown, you may stunt its growth and even make it susceptible to disease and pests. If your daylilies are planted in a moist area, cutting them back too early will put your daylilies at risk for fungal diseases. Cutting down in summer/fall: This will also put the plant at risk. The leaves of the daylily photosynthesize to provide food for the roots… so cutting them back removes the food source. When this happens the plant may not survive the winter (but they are hardy so they probably will still survive). But, cutting them back will probably affect the amount of blooms your daylilies produce the next summer. Cutting down daylilies too early results in weaker roots, less vigorous plants and poor flowering the following summer. Daylilies are known to be a plant that enjoys full sun. They bloom best in full, all-day sunlight (at least 6 hours of direct sun). But, you may be wondering if daylilies will tolerate shade. While most varieities will not bloom in the shade, the “Common Orange Roadside” Daylily (Hemerocallis fulva ‘Europa’) and the “Orangeman” Daylily (Hemerocallis ‘Orangeman’) will bloom normally with little to no sun. The common day lily (Hemerocallis fulva) is considered invasive in the Chicago area. Its thick tuberous roots make it difficult to eliminate and it may choke out other plants as it spreads in the garden. Invasiveness is always related to the particular area that you live in, so be sure to check your region or state invasive plant list to be sure that what you are planting is safe. Daylilies are really simple to divide and transplant to get more plants for your garden. They are so hardy that you can actually move them at any time of the year, but I would recommend waiting until the fall after they are done blooming for the season. I split about 3 daylily plants into about 15 divisions, which was a good day in the neighborhood if you ask me. The only drawback was that I lost a pair of gloves to my sneaky little pup Sally — who I caught on camera taking my gloves while I was filming this video fro you! She then dug her own hole and buried my gloves in the yard… as usual. Daylilies are just beautiful, blooming for months on end… they are also super hardy and easy to care for. If you have yellow or orange daylilies, I’d recommend adding some lavender near them for a beautiful orange/purple combo. Phlox is also a great option. 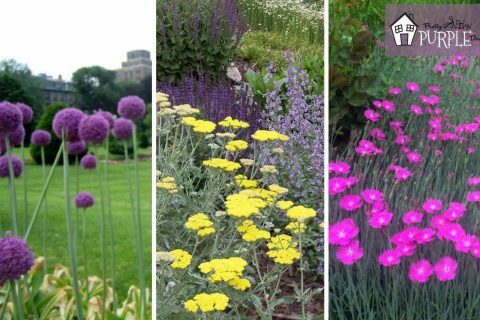 If you want to learn more about plant pairings, check out my free plant pairing guide for amazing plant combinations for each and every season.